In one of the darkest periods of Atlanta history, 1979 to 1981 saw some 28 black folks, mostly boys and girls, murdered without an arrest. Many were strangled to death, others hit over the head or stabbed, but the crimes themselves had little in common other than the race of the victims. A black man named Wayne Williams was assumed guilty, as announced by the Atlanta Police Department, for at least 23 of the murders, however he was only tried for the killing of two adult men. 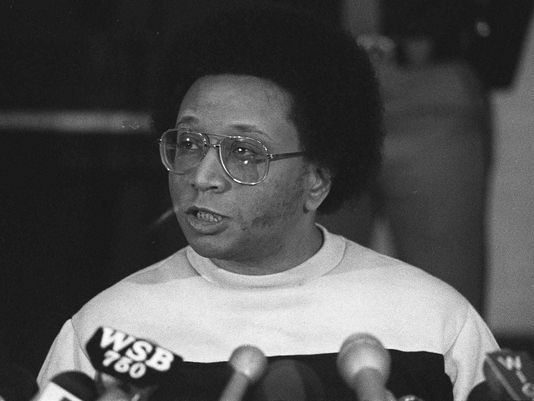 The Atlanta Child Murders remain, technically, unsolved. Payne Lindsay, the Atlanta-based podcaster and filmmaker behind the incredibly successful podcast, Up and Vanished, is taking on another infamous Georgia case, this time with help from HowStuffWorks, a first time partnership. Listen to the trailer below. Emmy Award winning actress Regina King, who found success on ABC’s series “American Crime,” has also chosen this topic for her upcoming FX series titled No Place Safe that will be based on the memoir of the same name by Kim Reid. At the time of the murders, Wayne Williams was working unsuccessfully as a music producer and freelance photographer, and prior to that he worked in radio. He had grown up in Atlanta; both his parents were teachers, and his upbringing was middle-class. In 1981, due to the fact that several of the bodies had been dumped in local rivers, police staked out a bridge over the Chattahoochee River. There they heard a loud splash, and then found Williams leaving the scene in his vehicle. He was 23-years-old at the time, and when he was stopped by police, he told them that he was on his way to audition a new singer and gave them her phone number. They let him leave, but from then on he was a person of interest. It was found that both the woman and phone number were made-up by Williams. Two days after Williams was stopped by police, the body of a 27-year-old naked man was found downriver. Police checked into William’s background and found that he had a previous conviction for impersonating a police officer. Police would call in Williams, and he would go on to fail several polygraph examinations. Police obtained a warrant to the residence he shared with his parents, and they were able to find fibers that matched the two victims he would ultimately be convicted of murdering. The judge sentenced Williams to life for the murders of two 22-year-old men, Jimmy Payne, and Nathaniel Cater, mainly on circumstantial evidence. To this day, Williams maintains his innocence in terms of the children murdered. Writer James Baldwin, a hugely influential black novelist, playwright, and essayist who was a prominent voice at the time of these murders, wrote a book called The Evidence of Things Not Seen in 1985 that questioned the guilt of Wayne Williams in the murders of the children. He believes that Williams was railroaded by the judicial system that wanted to avoid the fact that the KKK had much to do with at least some of the murders. I will be reading this account and will write more on it soon. Williams also claims that authorities wished to cover up the true murderers as they were members of the KKK, and they wanted to avoid a city-wide race war. Many of the victims’ parents were also wary of William’s conviction, and welcomed the reopening of the case for four of the murders in 2005 to investigate possible connections to the KKK. Charles T. Sanders, a white supremacist that was a member of the KKK in Atlanta was secretly recorded praising the murders of the black children. Sanders was apparently investigated, and the case was closed again the next year. In 2007, new tests were done on dog hair that was found at the scene attributed to William's dog, but the findings failed to exonerate Williams, who was seeking an appeal. Arguments around the validity of the hair and fiber evidence continue to this day, and appeal processes are still in the works. No word yet on when Atlanta Monster or No Safe Place will premiere. Matthew Phelps: Could A Man Kill in his Sleep?